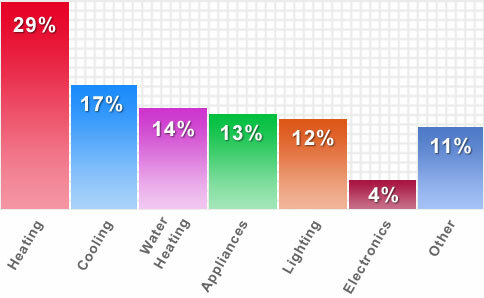 An average Energy Audit takes around 2 hours to complete. Blower Door Test- A large fan is mounted in a door or window and is used to depressurize the home. With this test we can identify how much your home is leaking. Infrared Scan- While the blower door is running we inspect and document where there are leaks through out the home. These images are included in the final report. CAZ Test (Combustion Appliance Zone)- This is a safety test to make sure your Furnace, Water heater, etc. are properly venting CO2 out of the home and is performing safely and efficiently. Once completed we will put a report together with pictures, recommendations and a potential savings breakdown for each improvement. See the sample report below. The inspection you did for us was very professional, and helped us identify why, precisely, our house had such cold spots. Per the recommendations of the report, we had the attic insulation redistributed and upgraded to r60, and insulated the crawlspace under the family room, as well as having the blanket in the bedroom wall put back into place. These changes greatly decreased the coldspots in the house, and made the house much more comfortable during the subsequent sub-zero cold-snaps. Your report saved us tens of thousands of dollars replacing windows that, it turned out, did not need replacing, and would not have solved the problem. Thank you very much." Check out what ways you can recycle in your area. CFL and LED light bulbs use drastically less energy. Using Energy Star rated products will conserve energy. We provide you valuable information about your homes excess energy usage and ways to lower energy loss. With a Home Energy Audit we identify how to make your home more comfortable and at the same time lower energy spending.